Shamelessly ripped off from the Bisquick recipe book, with some tweaks. Pretty tasty but a little dry. Increase both oil and zest next time. Maybe try adding more sugar to increase sweetness. 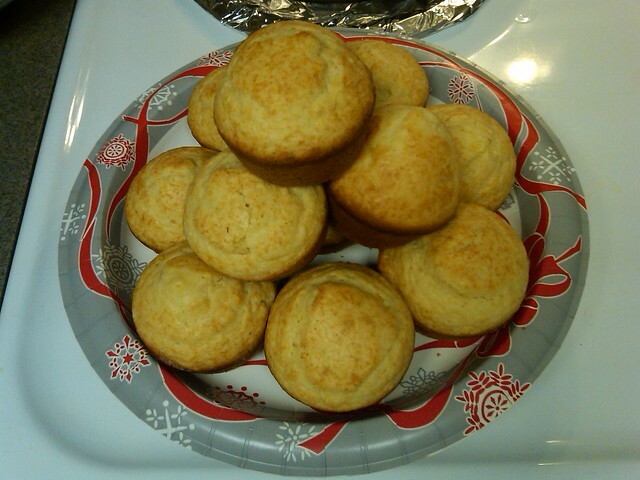 Increase of oil and milk made these muffins much moister. Increased sugar and switch to white sugar upped the sweetness. Better than first attempt for sure. Could definitely use even more zest next time. Larger chunks of zest give a nice texture.